We’ve partnered with Amazon Europe to bring our soap to 26 European Countries. Just a few years ago, we started Carolina Castile Soap, so that residential cleaning companies and homeowners across the United States would have healthy, all-natural alternatives to toxic cleaning products and even so-called green cleaning products that still included different types of potentially harmful, unnatural chemicals, dyes, and fragrances. You can read more about our launch in 2013, here. At our formal launch, we began selling our soap to local outlets in the Raleigh-Durham area of our North Carolina home, as well as online on our own website, www.carolinacastilesoap.com. 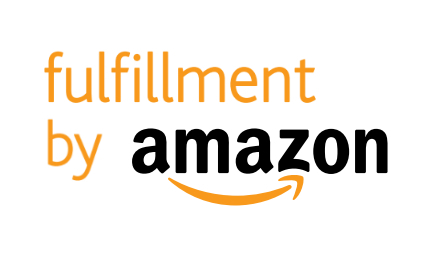 Within a few months, as usage of Amazon’s Prime service exploded, we decided to partner with Amazon for selling, packaging, and shipping our array of soaps in multiple scents ranging from peppermint and eucalyptus to lemon, orange, and almond. We thought it would be a great win for our customers to buy our products on a site where they benefited from the offerings of millions of merchants big and small. But did we ever think we’d be selling soap in other countries? Not until now! We are now selling Carolina Castile Soap across Europe, taking our iconic lighthouse logo to 26 European countries via Amazon’s famed free two-day shipping on Amazon Europe. As soon as we went live, units of Carolina Castile Soap began shipping to Europe to people wanting a better choice of soap for better living. Almost immediately, we began shipping orders to Spain. This country is special to us, since Castile soap was born in the region of Spain that bears its name, first manufactured with the oil of the olive trees that grow so abundantly on the Spanish countryside. It’s a real validation of our commitment to making Castile Soaps of the highest quality when people from the Castile region vote with their clicks to buy our product. To all of our European customers, we appreciate your business and look forward to serving you with great products through the years. You can count on us to deliver Castile soaps that smell great and do the job they’re purposed to do, whether it’s household cleaning (pots and pans, toilets, countertops, floors, and more) or personal hygiene (shampoo and body wash). Thanks for making us feel like an international sensation!